I first began teaching as an Adjunct in January 2005. I teach graduate school students who often work part- or full-time, have families and other responsibilities, and arrive to a 6 PM evening class tired after a full day of work or other activities. From the beginning, my standard policy was to treat my students to pizza or donuts once or twice a semester. I did this because I knew my students enjoyed it and appreciated it. Also, students seemed more attentive and likely to participate on the days I brought snacks. Students always thankfully gobbled up every last bite. Most students were excited if there was enough for them to have two or even three slices of pizza, or two or three donuts. Over time, this changed. After a few semesters, I started to have leftovers. Students were taking less (only one slice of pizza or one donut), and some students would not take anything at all. Then, in fall 2013, I brought two dozen Dunkin’ Donuts to class one day. No one ate anything. Not one. I asked the class why I had a full box of donuts left. Was is that it was too late for donuts? Would they prefer Krispy Kreme? Would they prefer ice cream? 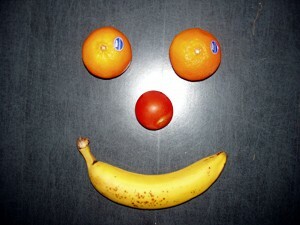 To my shock, the unanimous response was quite simple… they wanted healthy treats, like fruit. This was a radical shift from when I first started teaching nearly a decade ago. Could it really be that over the past decade students were eating healthier and making healthier choices? I was skeptical, so I decided to do an experiment. Later that semester I brought to the same class one box of a dozen Dunkin’ Donuts and one bowl of assorted fruit (bananas, pears, oranges, and an assortment of different types of apples). To my surprise, the students did make the healthier choice. Some students even took more than one piece of fruit. I still remember seeing three apple cores on the desk of one student. In the end, not a single donut was eaten; Every piece of fruit was gone. The only request the students had for future “fruitings” were some paper towels or napkins. I had two requests myself. First, students must clean up after themselves and not leave behind a mess. Second, I asked for volunteers to pick up the fruit on days my schedule made it difficult to do it myself. Starting this semester, spring 2014, I implemented a new policy which is made easy by the fact that I only teach one traditional in-class course this semester with about 18 students. Every class I bring two bowls of fruit – a colander with apples and pears (I wash them before class), and a bowl of bananas and oranges. 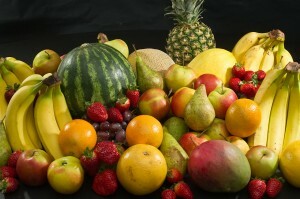 At almost every class session so far, every piece of fruit has been eaten. I am quite amazed at the response less than $20 worth of fruit has on a graduate class that meets once a week from 6-8 PM. The students enjoy the evening pick-me-up so much that when I am very busy, they even volunteer to pick up the fruit, a position we have nicknamed the “fruit fetcher.” At the beginning of class students proudly declare, “I am the fruit fetcher and this week I have fetched your fruit.” (Okay, maybe that was paraphrased). Bringing fruit to class may seem like a simple gesture, but really it is one way of letting my students know that I truly care about their preferences, well-being, and success. If for less than $20 a week some fruit will help my students have a more productive class session and thus help them succeed, then I am more than happy to help.